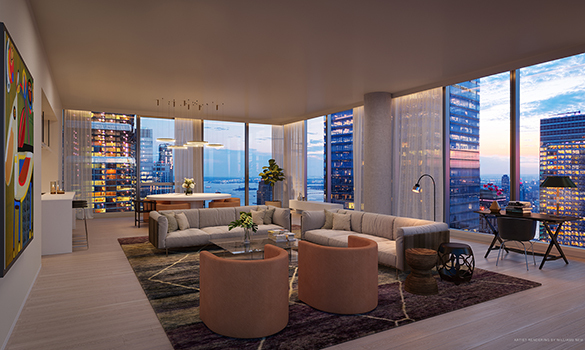 45 Park Place is Tribeca’s premiere new address for sophisticated, design-forward living, offering a limited collection of fifty condominium residences designed by Michel Abboud of SOMA Architects and featuring meticulously appointed interiors by Italian design icon Piero Lissoni. 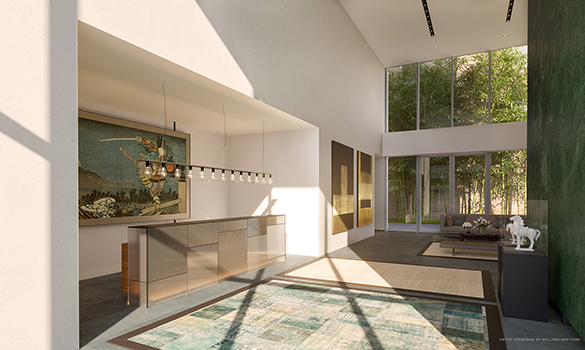 Residences at 45 Park Place feature a deluxe palette of hand-selected finishes, including Boffi kitchens with Gaggenau appliance package, and are complemented by an extensive amenity package that includes a 50-foot mosaic tile lap pool, residents’ lounge, and playroom. ALL DIMENSIONS AND SQUARE FOOTAGE ARE APPROXIMATE AND SUBJECT TO NORMAL CONSTRUCTION VARIANCES AND TOLERANCES. THE COMPLETE OFFERING TERMS ARE IN AN OFFERING PLAN AVAILABLE FROM THE SPONSOR. FILE NO. CD15-0085. 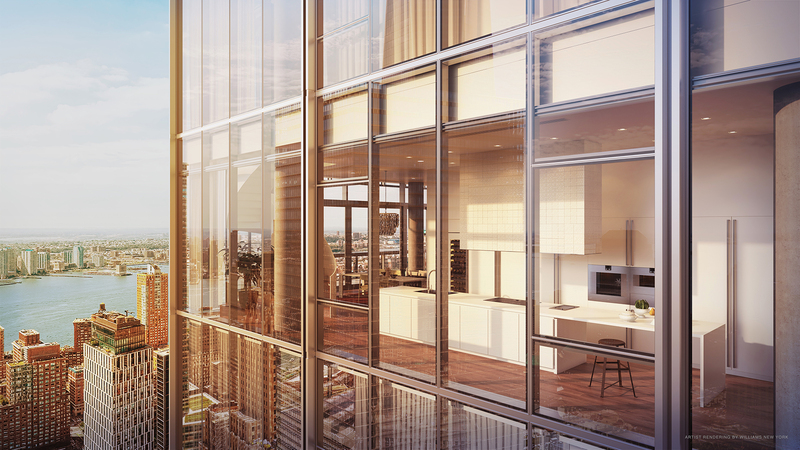 ALL BUILDING IMAGES ARE NOT ACTUAL PHOTOGRAPHS OF THE BUILDING AND ARE ARTIST’S RENDERINGS FOR REPRESENTATIONAL PURPOSES ONLY AND ARE SUBJECT TO VARIANCES. 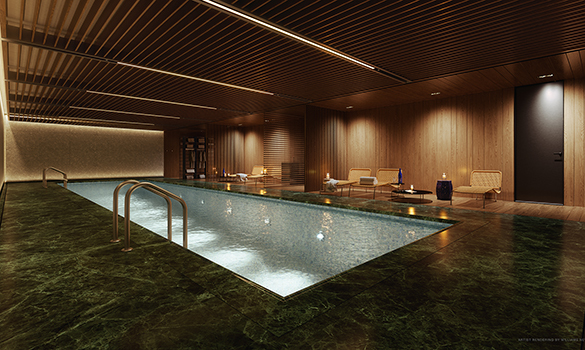 RENDERINGS ARE A COMBINATION OF PHOTOGRAPHS AND DRAWINGS. THE ARTIST REPRESENTATIONS AND INTERIOR DECORATIONS, FINISHES, APPLIANCES, FURNISHINGS AND VIEW PHOTOGRAPHY ARE PROVIDED FOR ILLUSTRATIVE PURPOSES ONLY. SPONSOR MAKES NO REPRESENTATIONS OR WARRANTIES EXCEPT AS MAY BE SET FORTH IN THE OFFERING PLAN. SPONSOR RESERVES THE RIGHT TO SUBSTITUTE MATERIALS, APPLIANCES, EQUIPMENT, FIXTURES AND OTHER CONSTRUCTION AND DESIGN DETAILS SPECIFIED HEREIN AS PROVIDED IN THE OFFERING PLAN. ALL RENDERINGS AND PHOTOGRAPHS OF VIEWS ARE FOR REPRESENTATIONAL PURPOSES ONLY AND SUBJECT TO VARIANCES. SPONSOR MAKES NO REPRESENTATIONS AS TO ANY VIEW AT ANY TIME OR AS THE SAME MAY BE AFFECTED BY ANY EXISTING OR FUTURE CONSTRUCTION BY EITHER SPONSOR OR THIRD PARTY. PLANS AND DIMENSIONS MAY CONTAIN MINOR VARIANCES FROM FLOOR TO FLOOR. 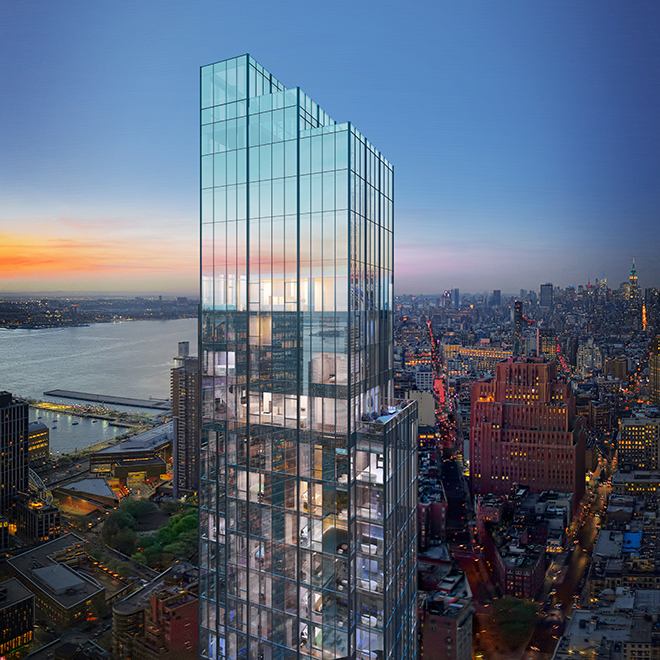 SPONSOR: SOHO PROPERTIES DEVELOPER LLC C/O SOHO PROPERTIES, INC., 31 WEST 27TH STREET, NEW YORK, NEW YORK 10001. FILE CD15-0085. CREATIVE BY WILLIAMS NEW YORK.